You have to admit: No matter how well-travelled you are, you will always have a favourite city for every country you go to. 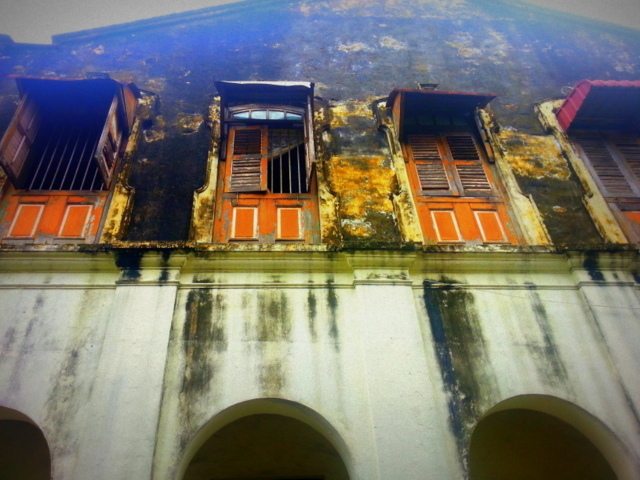 And my confession for this post is– if not for Penang, I wouldn’t keep coming back to Malaysia as a tourist. Yes, Penang is my favourite city in Malaysia. I fell in love with it the first time, and the feeling was always rekindled the 2nd, 3rd, and 4th time around. On this last trip to Penang, I really played the tourist as we devoted a good 3 days exploring its marvellous food, it’s beach-side hotels, and most importantly, the quirky, historic streets. 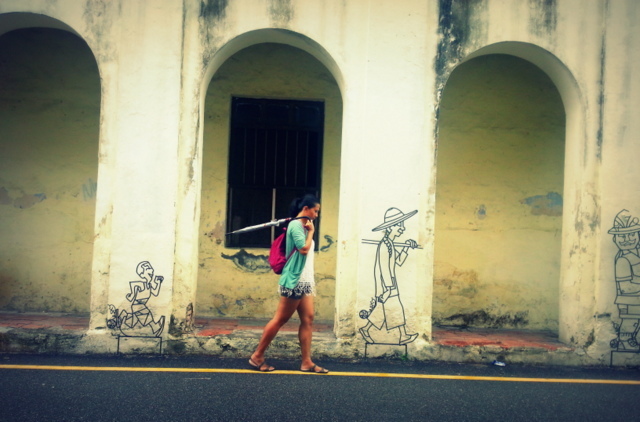 Penang is the perfect destination for first-time travellers, solo travellers, even solo female travellers. It’s a very tourist-friendly city but not too annoyingly touristy. The tourists comprise of a good balance between the quiet type of backpackers (as Penang is not really known to be a party island ), and couples/ high-end luxury travellers. Throw in a good handful of expats and that’s the foreign population of Penang. 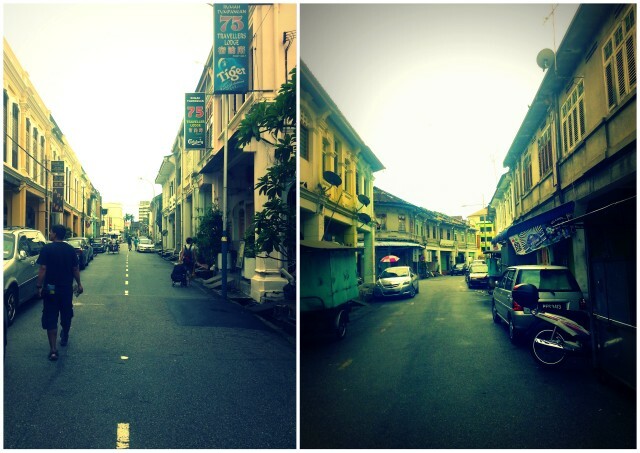 It’s good to explore the streets of Penang on a slow, lazy afternoon. You can see things from colourful local houses: to old houses that look so artistically run-down that you’re not quite sure if it will look better refurbished: To houses with facades so ornate and well-preserved, it’s easy to feel you have walked into a Chinese-opera backdrop And while walking, don’t forget the view above either. Thankfully, Penang is not riddled with tall skyscrapers. 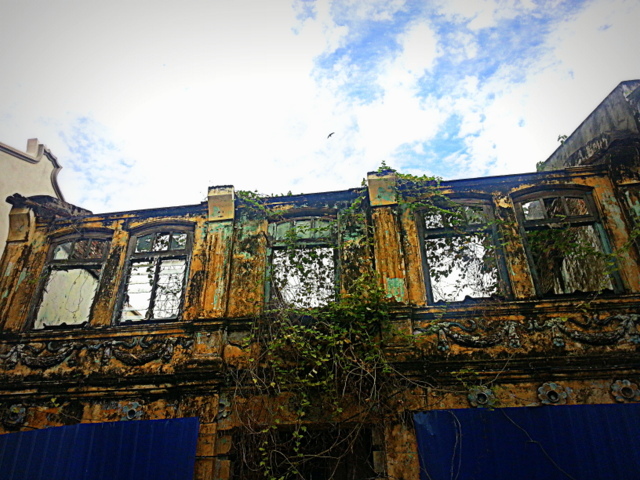 Instead, what looms over you while exploring the streets are windows that have seen many, many years of history unfold underneath them. And abandoned walls that have effortlessly become beautiful. Ageing never looked this good: And best of all, look out for the quirky, steel artwork that are randomly and strategically placed. The artworks also contain tidbits of interesting and historic information about the streets you walk in. 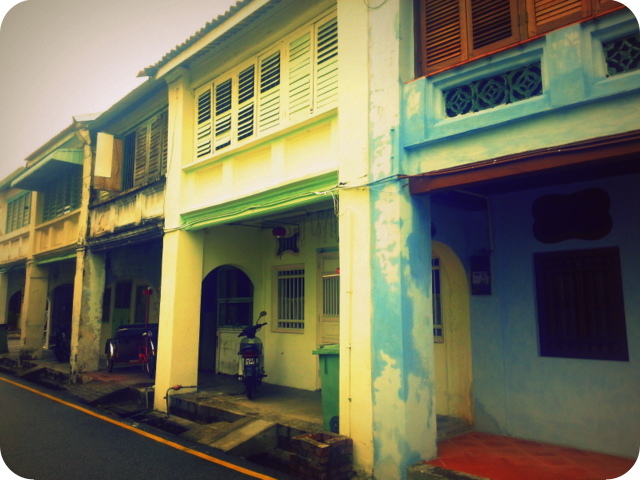 Hence why I think Penang is perfect for beginning your wanderlust travelling life, young travellers, families with young children, and those who like the laid-back kind of travelling. Who needs a guidebook when what you need to know is written on the walls? It’s very easy to see why Penang is a favourite tourist destination. It’s a pleasant place to explore by foot. You’ve got history and culture, and also the beachside for R&R. 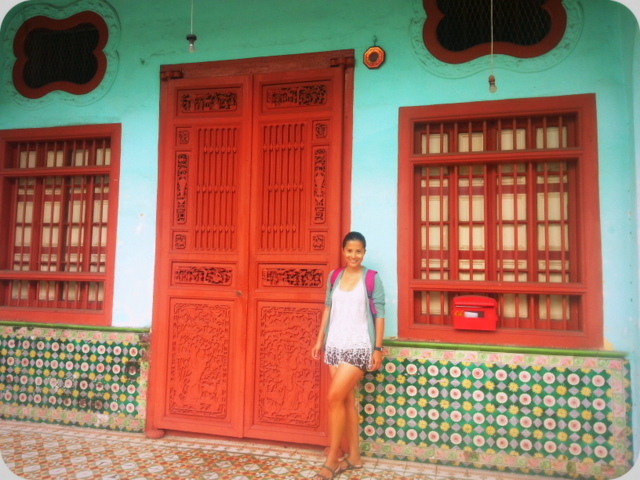 Have you been to Penang? What did you like about it? 50 Shades of Blue in Penang (Penang Blue Mansion) Hotel Review: Hard Rock Hotel – Penang, Malaysia Hotel Review: Shangri-la Rasa Sayang Resort & Spa The Balance of Walking, Chocolates and Beer in Brussels Iceland Hotel Review: Center Hotel Arnarhvoll Travel Update: I’m Boeing to Bali! 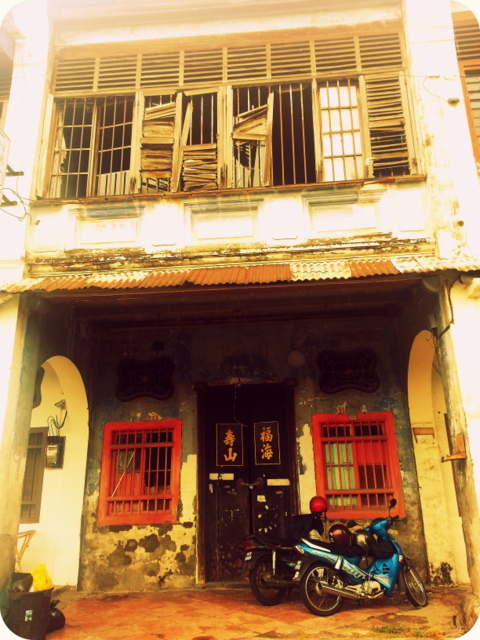 I like the old charm of Penang. I like how you fit right in with the drawings on the buildings. whats was the first one? A woman holding a child while practicing are karate kick? Never been to Penang but I can see why its a favorite of yours. 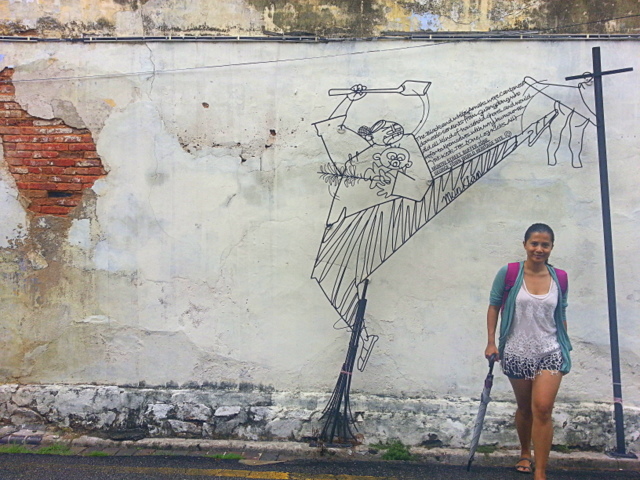 One Leg Kicks All is a steel-rod sculpture installed on the wall facing Muntri Street in George Town, Penang. Based on a caricature by Tang Mun Kian, it celebrates the amah (阿嬷). Once an ubiquitous presence in many well-to-do homes, the amah are Cantonese housemaids. Born in Guangdong Province, they moved to Malaya to serve as domestic help. These amahs are almost always garbed in their standard attire of white blouse and black long pants. As their job responsibility covers the whole works, from cleaning to cooking to caring for children, they wrily called themselves “Yat Keok Tet”, which in Cantonese means “one leg kicks all”.